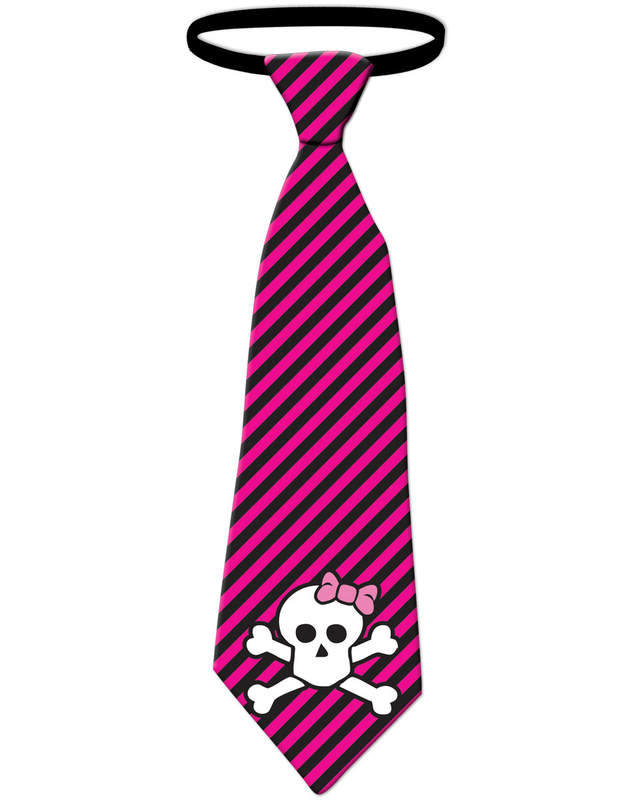 Should I wear a neck-tie for selling diapers? What you’re wearing when presenting impacts the credibility that your audience invests in your pitch. When selling diapers, try a lab coat and a stethoscope? Imprisoned on a treadmill at the gym this morning, I was watching the adverts that were running between the morning news shows. One of them turned out to be for adult diapers. A smart looking lady in her 40’s was speaking to camera about the display of adult diapers beside her. Let’s call this spokesperson Dee-Dee Diaper. I couldn’t tell what she was saying because the TV monitor’s sound was off, and the ads, unlike the news shows, weren’t subtitled. Dee-Dee however, was wearing a medical lab coat and had a stethoscope around her neck so I assumed that she must be a medical practitioner of some variety. For unpleasant conditions such as adult incontinence, we might well turn to the family doctor for advice, and if a doctor is recommending this brand-X adult diaper, then there must be a certain credibility to the product. This is ethos in action; credibility. Because the person speaking is wearing the recognised uniform of their trade, we become more inclined to accept the logos, or logic, of their pitch. Speakers call this the ethos-logos loop. By boosting the power of our ethos (and some form of uniform is a great way to do it), then we boost the perceived power of our logos. Approximately one mile later, a second thought hit me. At no point during the advert had a caption appeared that said “Dr Dee-Dee Diaper, M.D.” In terms of having any medical qualifications, Dr. Dee-Dee had most probably been a fake. Had she been a real family doctor, then I’m sure that would have been emblazoned all over the screen. So, even the mere presence of the uniform can incline us to believe a message. Uniform is powerful indeed, and one might therefore conclude that if your profession has any type of recognised dress code, it becomes a tremendous asset when pitching. However, if as a Doctor you were to walk out onto stage to make a conference pitch and were dressed in your lab-coat and stethoscope, and the audience were all in business suits, how would you look? Probably out of place. The audience would assume you either hadn’t bothered to change on your way from the office or that you were trying to ram your credentials down their collective throat. When convincing IT hackers, dress like an IT hacker? If your audience dresses in one particular way, then by matching them, you give the message that you see, hear, and feel the world as they do. This message then boosts the ethos-logos loop because if the audience sees you as being similar, they will be inclined to believe that you understand their world. 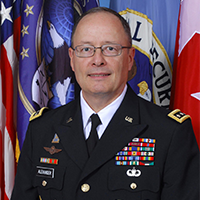 To explore this, we need the help of the Head of the National Security Agency, General Keith Alexander. 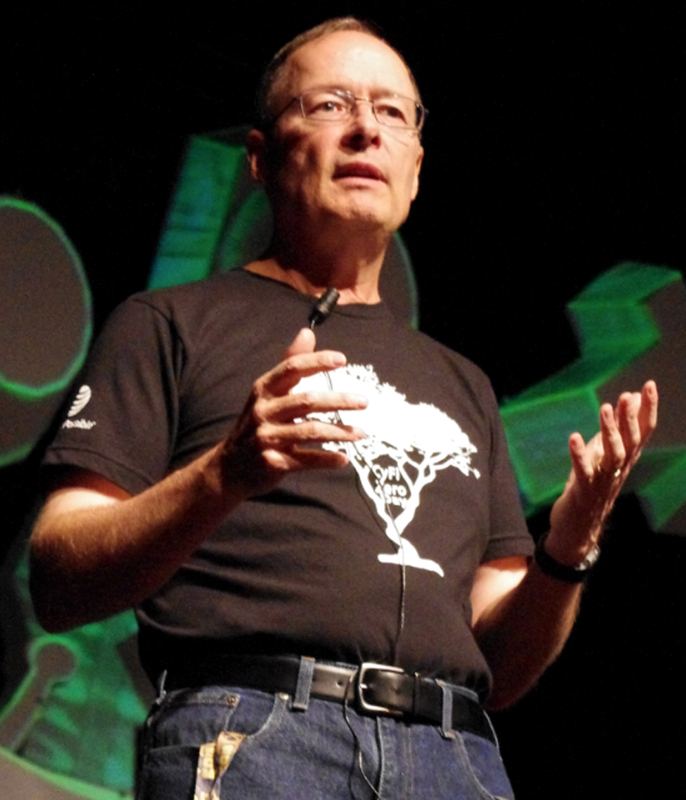 In 2012 General Alexander addressed the annual BlackHat Conference of IT hackers in Las Vegas. This gentleman is head of a significant government agency and a decorated US General. That’s a uniform with some serious power, but in deference to the idea that you should dress in a style similar to your audience, somebody sent the General on stage wearing jeans and a t-shirt. The result was that the speaker didn’t look as if he was mirroring his audience so much as mimicking his audience. Sincerity is a crucial part of ethos and an insincerely worn costume reflects back on the speaker. The mistake is not limited to US Generals. British leaders are equally good at it. In the past, politicians such as Foreign Secretary Hague and Prime Minister Cameron, have both attempted to mirror their audience with excursions into backwards worn baseball caps and rolled-up shirt sleeves that have made them look not simpatico, but insincerely silly. Dressing for similarity emphasizes shared perspective and boosts ethos-logos? Or…. Question: Punk graphic designer meets conservative bank. Here’s one final thinking point: Uniforms and dress-codes come in multiple guises. Imagine you run a design business and amongst your staff you have a brilliant young designer who you want to have with with you at a client meeting. That designer however is of a multi-pierced, multi-colored haired, ripped jeans and diaper-pins in odd places type appearance. The customer meanwhile, is a highly conservative bank. How would you ask your designer to dress? What would be your ethos-logos clothing solution to maintain their credibility in front of the customer? A President’s first term is all about getting a second term. A second term is all about legacy. Legacy starts with the Inaugural Address. In his first Inaugural, the President plotted a course of seeking consensus with political rivals. That didn’t work out too well. In this address, the President indicated that he had learnt significant lessons from that experience. Starting with words from the Declaration of Independence, “We hold these truths to be self-evident, that all men are created equal, that they are endowed by their Creator with certain unalienable Rights”, the President launched into a speech that reached beyond Washington and directly to the people of America. It wasn’t until 16 minutes into the speech that Obama first used the word “I”. Instead, there was a powerful and recurrent theme of “we”, “our”, and ‘your”. Within this paragraph we see the most beautifully crafted, and brilliantly clever, series of transitions. Starting once again with “We the people” the speech moves to “forbears” and “the star that guides us”. So far, so traditional. This sounds like the President is about to move down the well trodden American path of pilgrims and pioneers. Look what comes next though. These pilgrims and pioneers aren’t wearing Puritan costumes or moving in wagon trains. These pioneers are respectively from Seneca Falls (Women’s Rights), Selma (Civil Rights), and Stonewall (Gay Rights). There is then the most beautiful transition to words of Martin Luther King, who is referred to as “a King”, counter-pointing magnificently against that tyrannical King of England that Obama mentioned earlier as a proxy for the GOP in Congress. Now what is so beautiful is the way that these references will have immediately cued the supporters of these movements to sit forward and listen for what was coming next, while at the same time slipping directly past those that opposed them. The people at which this phrase is aimed are now tuned in, while for rivals, the next crescendoing paragraph would come like a sucker punch. That section would be the one where the President, winding up like a pitcher about to take the major pitch of the game, made a full flow commitment to civil rights. It was a swipe at the forces that worked so hard to ensure Obama would be a “one term President”, a mission in which they failed. As Gavin McMahon at the Make A Powerful Point blog has pointed out in his work on Presenter Types, President Obama’s profile as a speaker is a “Counselor”: an accurate and highly organised speaker, but one who can fail to connect with their audience, or seem dry and clinical. For example, few Inaugural Addresses contain words as distinctly uninspiring as “statistics”, but the President’s first Inaugural Address did, and did so warmly. Throughout his first term, Obama was frequently criticised for lacking passion. Can the President change that? 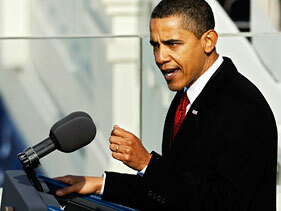 Today’s Inaugural Address showed every indication that indeed, yes he can. While this was a speech with passion, energy, and courage, it was also a divisive speech. There was a lot for Democrats to cheer, and an equally large amount for Republicans to be appalled at. President Obama is giving every indication that he has learnt the lessons of the past four years. The gloves are off. 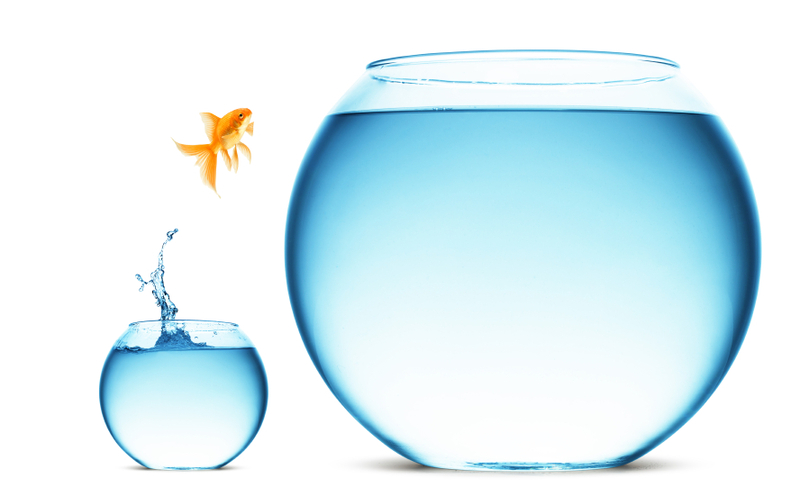 This time is all about change, and everybody is invited to be a part of that change, or get out of the way. Come back tomorrow for a full analysis on some the hidden technical mechanics that have gone into this speech. Poor Lord Grantham. He has no idea what’s coming. Corsets are about to start coming off all over the place. World War 1 has changed the Downton landscape of Season Three socially, morally, and economically. Old certainties no longer count. When individuals both upstairs and downstairs within the Abbey try to use those old certainties to exert control over others, the consequences are seldom what they intend. As presenters we too live in a changed world; one changed by mobile technology. When audiences can simply film or photo their way through a presentation, it is no longer realistic to pull up an intellectual drawbridge and attempt to hide behind a © copyright symbol. While we may have been born into a world of Intellectual Property fiefdom, the walls that held that fiefdom together crumble a little more each time somebody lifts a smartphone. Of course one way to handle this might be to ban the use of mobile phones within the audience. If you have ever tried this then you will already know how unsuccessful the approach is. The corset of “please turn off your mobile phones” no longer works. 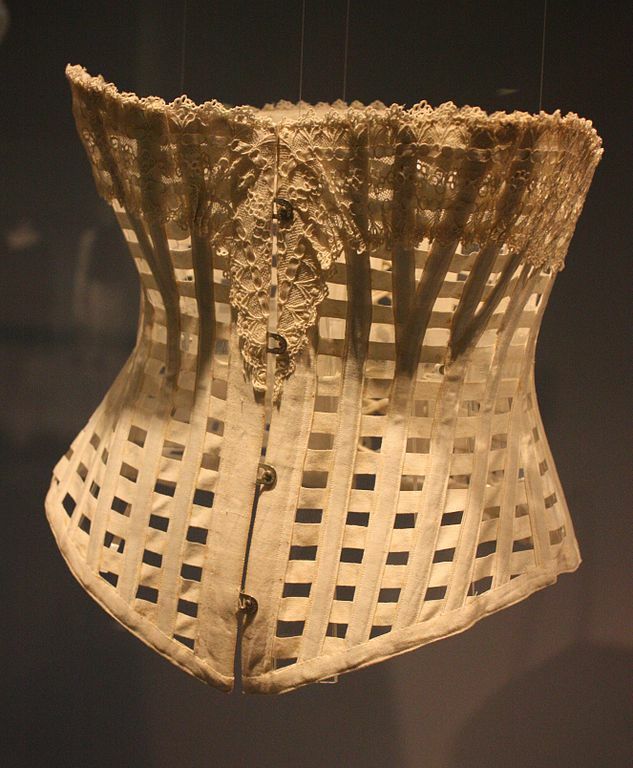 It’s time for collaboration, not corsets. When we ring-fence our IP it is because scarcity mentality tells us that if we release this precious idea, we’ll never get another one. Better to lock it away. Abundance mentality however would tell us that where that idea came from, there are plenty more waiting to be born. Your idea might trigger thoughts in somebody else, and yet another person’s ideas might trigger thoughts in you. This only happens though, if we let go of © for corset and for copyright, and instead embrace © for collaboration. Will Lord Grantham learn his lesson by the end of Season Three, because even the Dowager is loosening up her laces. These words were written 2000 years ago by the Roman orator and teacher, Quintilian. Requested by friends to write a training guide for young Roman noblemen, he commenced not by discussing rhetoric, but by examining the process of education itself. Quintilian was not a fan of false praise. When a student failed, the master would let him know it. What strikes me in this passage however, is the awareness with which he also understood that hard criticism will, by stages, kill the desire to learn, and worst of all will kill the spirit that urges us to take risks and dare anything new in life. He suggests that rather than criticise the student, it can be more useful to encourage the student to criticise someone else, by critiquing published speeches. Through picking out what was polished, beautiful, or powerful, they could find models of excellence with which to bolster their own speaking. By identifying what was verbose or ugly, the learner would see what should be avoided. Through such a process of selection and rejection, along with time and application, the student would slowly develop a unique style of their own. This would only take place though, so long as overly harsh criticism hadn’t killed that spark of interest first. Quintilian was writing specifically of the teacher/student relationship. I think we can also echo this to the relationship we have with ourselves. At whatever stage within a public speaking career we might be, we need to give ourselves permission to learn, and to experiment, and through that process to grow as presenters. Overly harsh self-criticism shuts that process down and while keeping us safe from failure, also leads to decay, as skills decline through lack of challenge. Give yourself permission to learn. Select a recent famous speech and study it. (There’s a fairly big one coming up next week that you might like to experiment on!) What do you admire? Choose something to emulate, and then try it out in your next presentation. Having tried it out, review honestly how things went and then take time to praise yourself for trying something new. The ancient Romans and Greeks gave us the skills we today call Public Speaking. They also brought us the arena. For the Greeks, that arena contained the high ideals of athletics. For the Romans, it was frequently filled with something a lot more bloody. This week, we will see those traditions of the ancient world resonate in the gladiatorial collision of the US Presidential Debates. Watched, analysed, and regarded as more vital than the Party Conventions, the debating action might not have the physical blood of the Roman arena, but it will still be a fight to the death. As Richard Nixon famously discovered when he came up against John F. Kennedy, a poor performance means the end of not just a political campaign but the beginning of a political obituary. This is reality TV with a vengeance, and doing justice to blogging the debates is a blogging mission bigger than any lone blogger, which is why there are two of us teaming up for it. For the next three weeks, the Make A Powerful Point blog hosted by Gavin McMahon and The Presenters’ Blog hosted by Peter Watts will be joining forces. The day after each debate we’ll be looking at a specific aspect of the art of debating and then putting forward our own unique take on how the contenders did. We’re even going to try to score them and see if we can pick a winner. How did the candidates do at the fine art of “staying on message”? This comes down to the way they handle and frame their answers to the questions. A well turned answer will respond to the question while subtly boomeranging back around to the candidate’s chief talking points. A badly turned answer will have the Twitterverse twanging and host Jim Lehrer dragging the candidate back to the subject at hand. For the Town Meeting debate, we’ll be looking at the candidates’ use of language, and in particular how well they manage to move against their accepted presenter-types. Can President Obama sound Presidential rather than Professorial, and can Mitt Romney leave behind his wooden, PowerPoint-driven Management Consultant mode. In particular we’re going to explore how the candidates use techniques such as metaphor, simile, and repetition to get their points across. This is a Town Meeting after all, and we’re looking for some down-home use of plain speaking, with just the occasional rhetorical flourish. This one’s the final show down, and someone might have their back against the wall, or we might have a one-all draw! We’ll also have had two debates behind us to get insights into how the candidates battle against each other. Having seen how the candidates have performed to date, we’ll know where each is strong and where each is weak. Our final analysis topic will be on how the candidates manage to maximise those strengths, and to cover their weaknesses. Each of our posts will be online the afternoon after the debate. We hope you’ll join us with your comments and thoughts on how the candidates have performed. We’re looking forward to the debates, both on the stage, and here on the blog. Gavin is a founding partner at fassforward consulting group. He blogs about PowerPoint, Presenting, Communication and Message Discipline at makeapowerfulpoint.com. You can follow him on twitter @powerfulpoint. A Note about bias. Neither of us can or will be voting in the US elections, but, like all humans, we have biases. We will try to look at the debates purely from a point of view of speaking, messaging and presenting, to see what the rest of us -— those that will never run for President, can learn. The presentation came out of nowhere. What to do? Presentations can strike without notice. A colleague gets hit by ill health and you get hit by their presentation. 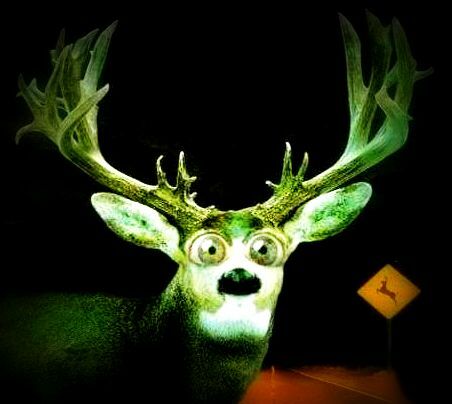 How to avoid that deer-in-the-headlights moment? The key to success is your ability to rapidly master your colleague’s presentation so that it works for you as smoothly as it was about to work for them. Get the content right, and all else will follow. The biggest mistake you could make would be attempting to deliver your colleagues’ PowerPoints unmodified. That was their presentation. It made sense to them. You need something that makes sense for you. First make a copy of the slides. You’re about to perform high-speed field surgery and you’ll cut deeper if you know a backup is saved elsewhere. Find out about the audience. What do they need to know, and where does that intersect with what you know. Edit the slide deck to focus in on those happy intersections. If there are any essential slides that you’re unsure about, have a colleague talk you through the salient points and help you put them into a context. Where there are slides you don’t understand but that aren’t connected to the main purpose, delete them. Make that slide deck as compact as possible. Similarly, delete any superfluous bullet-points that might be hanging around. Make your slides as clean as possible to minimise the chance of audience questions being prompted by stray bullets. Eliminate anything that might leave you staring at the screen mumbling “Well, I think that point is self-explanatory”. No-one is fooled. You are clueless in public. Zap any such slides or slide content before you present. Put the content you are least confident of into the least memorable part of the presentation: the middle. Place strong content at the beginning and end of the presentation. Don’t worry if your colleague’s 90 minute presentation is now your 30 minute one. Brevity is an art form. When it comes to any content that you are not comfortable with however, do keep challenging yourself: “Does this really have to be in the presentation?” If in doubt, then either delete, or remember the option of “Hide Slide”. Before starting the presentation, plan for how to handle questions. It’s quite possible that the person you are replacing had knowledge of specialist topics that you don’t, and that there might be audience questions about those topics. Remember as a first-base, that you are stepping in at short notice. Without you, there would be no presentation, and even though you can’t actually see it, the super-hero cape is already fluttering from your shoulders. Being unable answer specialist questions about someone else’s specialism is absolutely nothing to be embarrassed about. Perhaps subject matter experts are available who while not wishing to present, would be happy to take questions for you. If such an individual isn’t available, never be tempted to bluff your answers. Resolve that for any questions you can’t answer, you will make a note of them and get back to the audience members after the presentation. This approach upholds your credibility and ensures people get the right answers. It also creates a reason for you or a colleague to talk to the audience beyond the presentation and thereby further develop the relationship. What experiences of impromptu presentations have you had, or are maybe having? What are your tips for turning unexpected pitch into richly deserved triumph? 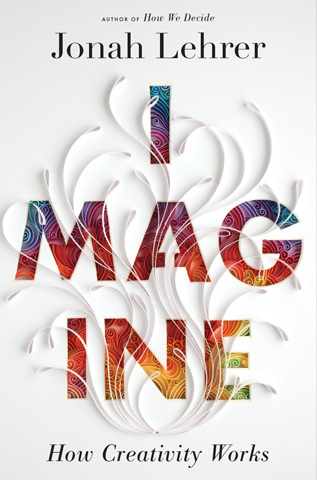 “Imagine” explores the latest mechanics of creative brain science; all our little grey cells and the zaps and flashes of insight zinging between them. Jonah Lehrer brings together all the facts and lays them out in this relaxed guide. If you are a fan of the New Yorker or similar magazines, you’ll recognize the long-form writing style that makes the book so easy to drop in and out of. Hard science blends with anecdotes and interviews. Scientists, business people, educators, and innovators all come join the project. I came to particularly enjoy the little word-sketches that Jonah Lehrer uses to introduce and visualize his interviewees, ranging from urban campaigners through to an Israeli technologist who was so chilled that he was quite literally horizontal. The care taken in writing these descriptions means that the stars-of-the-show, the enviable selection of interviewees, all feel as if they are in the room along with you. The book touches on to a wide arena of subject areas from neuroscience through to urban planning, education, and even intellectual property law. All of which, it turns out, are having significant impacts on the creative intelligence of society. A wide source of ideas and inspiration for a wide range of public-speaking topics. and you can catch the video promo for “Imagine” by clicking here. I became aware of a damp patch. Inevitable with a Victorian cottage. Moisture slowly creeping up an outside wall. Tell-tale watermarks on plaster in the hall. Months of contractor confusion led to my hiring an independent surveyor to take charge. He promptly nailed the source of all my problems as being a tiny pipe, steadily and slowly dip drip dripping beneath a floor. Seemingly tiny little leaks of self-esteem can have exactly the same effect on our confidence. The most damaging are those hidden beneath the floor-boards of our bravado; the inner comments we make to ourselves when offered the chance to take on new challenges. Over months and years, those drips become a damp-spreading mantra, soaking foundations. Our confidence water-logs from within. My surveyor told me that to identify a hidden leak it’s important to listen both to what you can hear, and to what you can’t. 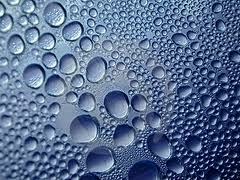 Listen for noises that shouldn’t be there (in my watery case, an almost inaudible hissing sound), and then listen for the sounds that are missing, such as the high pressure surge of water rushing through a healthy system. As a presenter, do you suffer a low level hiss of negative internal criticism? After speaking, how clearly can you hear your that healthy surge of success? Maintaining a constructive inner-dialogue is essential presenter care-and-maintenance. Self-coaching can be one way to do this, but sometimes problems require the help of an external expert for true diagnosis. Professional coaching assists presenters at all stages of their careers, in the same way that my professional surveyor was able to help me. It’s well worth taking the time to fix those little leaks. At the end of the day, nobody enjoys a presentation from a damp-patch. You no longer take your laptop to a picnic if you want to play music; you take your MP3 player instead. The same thing is happening to how we deliver presentations, with tablets and even phones becoming potential delivery devices for mobile presenters. All of these advantages have encouraged me to experiment with my iPad as a presentation tool, and as long as you are aware of the pitfalls, I’d recommend it. If like me however, you can’t resist going early-adopter, here are some of the workarounds I’ve discovered for presenting from an iPad. 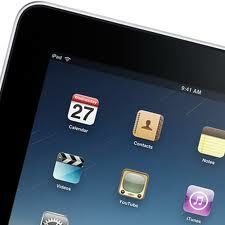 An iPad is an oversized iPod, without the functionality of a laptop. It’s good for quick edits on the move, and content delivery, but when it comes to the heavy-lifting of writing your presentation, that remains best done on your laptop. Much of what you’ll want to do requires the precision of a stylus rather than fingers. I’ve found the Pogo Stylus to be excellent. Transferring PowerPoint slides into KeyNote is an easy WiFi process, but do check for font changes that knock your formatting around. Also be careful to check any graphics that were originally created within PowerPoint; straight lines that were in there have an odd habit of vanishing! iPad remote control apps are available, but I’ve experienced their WiFi / Bluetooth connections as too shaky to be relied on in front of an audience. You’ll need to manually advance slides, so remove fiddly transitions and minimize the slide-deck to reduce the number of times you have to return to the iPad. This might seem retrograde, but it’s always good discipline to streamline slide-decks, and iPad’s lack of an effective remote control simply reminds us to keep presentations simple. The inability to black-out the screen during longer presentations is the biggest single issue with the iPad. Possible solutions are to either create a special slide that stays on-screen during shorter activities, or plan black-out periods long enough that you actually turn the projector off altogether. 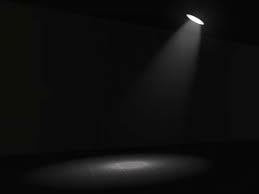 Many audiences breath a sigh of relief when that projector goes off, so it can be used to indicate a shift from presentation into discussion or activity. Do remember to switch the projector back on at least 90 seconds before you need it! With the iPad’s out-port connected to the VGA, there is nowhere to plug-in the power. For shorter presentations, this isn’t a problem, but if it’s a whole day session then you can extend battery life by reducing screen brightness. Flight Mode can also be used to save even more power. Presenting from an iPad is a different experience from using a laptop. Practice prior to your first time in front of an audience. I would also suggest still taking your laptop with you as backup just until you are completely comfortable. This question depends on the type of presenter you are. Would I use an iPad for a major audience, large stage event? No I wouldn’t. I would miss my remote control too much. Would I use the iPad for delivering an in-depth technical presentation, requiring the ability to run separate reveals on my slides? Again no, and for that same lack-of-remote reason. For myself as a presenter though, constantly flying, performing small edits on the move, and immensely prizing lightness-of-backpack, then yes the experiment has proved worthwhile. The pitfalls I’ve encountered will be rapidly filled as more of us find solutions and workarounds. Do you have any solutions to share? Please post me back if you have. Be great to hear your experiences.